As I pulled into a local car park in the center of Madrid, little did I know I would be there for the next 45 minutes discussing what I realized afterwards was the most basic of concepts. I drove up the car park attendant’s window. There was a female parking attendant staring back at me with an apathetic, disapproving look on her face. She had the look of a person who was thinking about a million other places she would rather be. I got the price, great! Good start. I was unhappy with the cost but for the middle of Madrid I probably wasn’t going to get much better. I then took out some change and passed across the money. I couldn’t see a closing sign anywhere. We were planning on returning to the car late and I really didn’t want to get back to a locked car park as our accommodation was over an hour away by car. Easy enough question right? I was hoping she was simply going to give me a time of day – “A las diez” or “a las once”. What I got was a high paced barrage of Spanish dialogue. She went on for what felt like 5 minutes. I had no idea what she was saying. Despite learning and practicing Spanish for 5 years, in that moment I felt like I was failing at life. Of course she had no patience for me and continued on at top pace. I doubt whether she cared that the message got across or not. I then pushed back and had to break everything down one idea at a time. What are you asking me? What are you trying to say? Are you telling me the price again? Are you telling me how long I can park for? Are you actually telling me the closing time and I’m too slow to to understand it? All I want to know is the closing time – I repeated in Spanish. I then tried to proceed by asking questions that I knew she would give a yes / no answer to. The car park didn’t close overnight but if left my car parked there past midnight they were going to charge me another day. I finally got the point. It took a lot of sweat and tears but I got there. 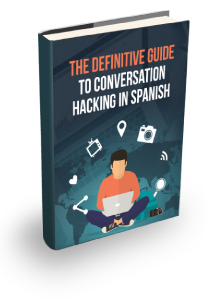 It doesn’t matter how long you have been learning Spanish – listening comprehension is hard. And it gets worse when the person you are speaking to has a strong accent and no patience or care if you do not understand the message. That parking attendant wanted me out of her world as fast as she could, but I wouldn’t leave until I got the message. The message seemed important and I really wanted to understand what she was saying. Having confidence and staying power is so important to improving your Spanish skills. I wasn’t prepared to walk away until I understood. I knew that if I walked away from every encounter that I was going to have with a Spanish local I would never achieve my Spanish goals. 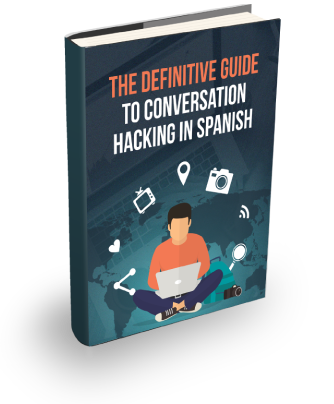 It should give you some reassurance that listening comprehension is what often comes last to a lot of Spanish students but can easily be improved. It is exposure and determination that is going to make all the difference. It’s why I created Fluent Spanish Listening. You need an opportunity to get exposure to Spanish dialogue over sustained period if you want to improve. The students that have been through the course have told me that their listening skills have improved considerably. The increase in skill has given them more confidence, which is what you need if you are going to stand there looking silly while you question a parking attendant for 45 minutes. If you want improve your Spanish listening skills check out the course here.